The Austin Charity Committee presented a check for $1,250 to Ari Stuerzel of SafePlace in Austin. Committee members Lisa Ayers, Dawn Patterson, Seth Baker, and Spencer Brown hosted various fundraising events throughout the year to raise money for the organization. 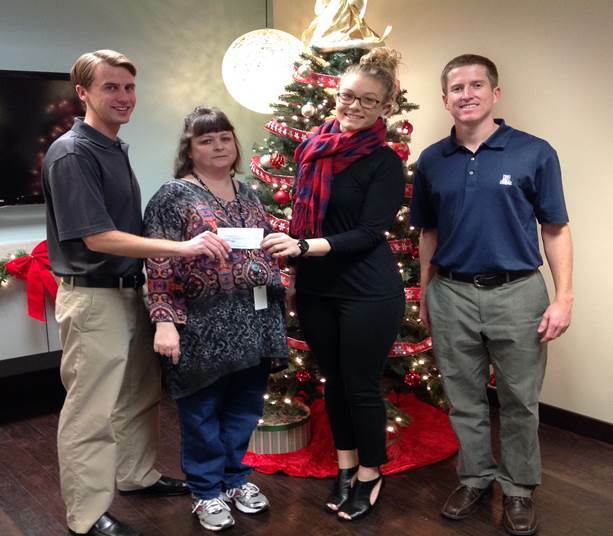 At the beginning of the 2014, the Austin office voted SafePlace as the year’s charity beneficiary. SafePlace provides safety, healing, prevention, and social change for individuals and families affected by sexual and domestic violence.